Rainbow challenge. I put my yellow one up last week, and I have the pink one that I will post next week, but this deep red one is my favourite as it's such a great colour so I was thrilled when I managed to strike it from a cutting. Thank you for the awesome comments on my photos. Such a beautiful and bright colour - A lovely image with its raindrops ! Wow, I've not seen this colour.....gorgeous. 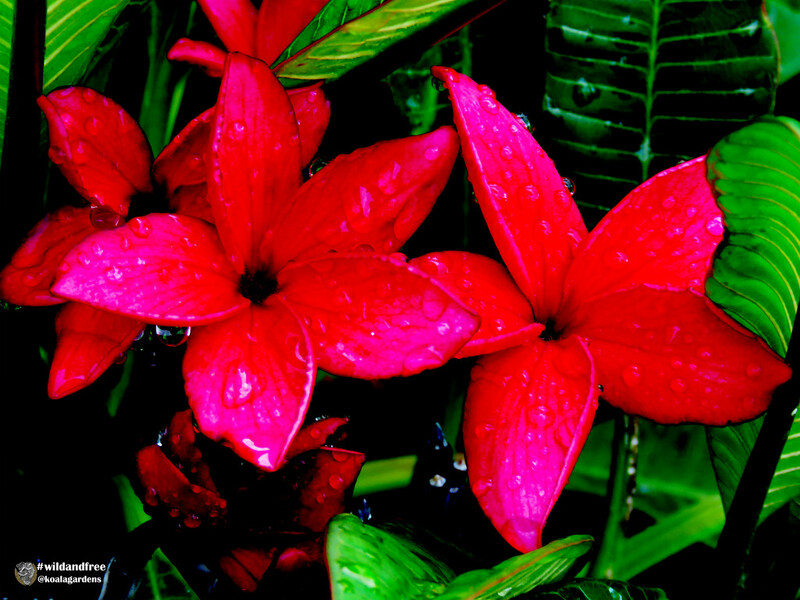 Lovely, I'd love to have a red frangipani. I'd settle for any colour but we don't have the climate for them. Look great framed in green, but plenty of red for the red calendar stripe. Beautiful. I love the smell of the frangipani flower.